With the advent of subscription business and the dawn of subscription boxes, the demand for high-quality subscription boxes has reached its peak. Every website that manages to establish a niche authority and authenticity, and to grab a considerable number of loyal followers, considers starting a subscription box business. From Birch Box to Ipsy, there are a lot of monthly subscription boxes businesses around us, and they are crushing it at this business. The subscription box business is a riskless business with recurring income if you manage to get a fan following. However, in order to successfully manage and run this business for a long-term, you have to make sure that the quality of your subscription boxes for men and women, is out of the box. This is where PackagingBlue.com comes into the play. Why Get Custom Subscription Boxes? In case of subscription boxes for women, you need to know that women are very particular about the looks of things around them. Their brains act differently; looks are of paramount importance to them. You need to get high quality and custom made subscription boxes for your subscription business because without this, you will not be able to keep alive the impression of being an authority in your products’ niche. Get this: people love to see their products packed in cardboard boxes designed and made with good taste. 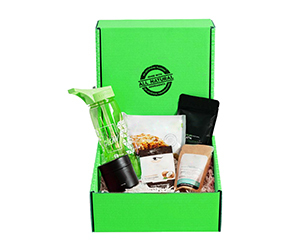 What is in Personalized Subscription Boxes? The personalized pillow boxes are the personification of the vision of the subscription-based website owners. From top to bottom they reflect whatever you want them to reflect. The personalization that we make to the pillow boxes can be in terms of design, shape, color, material or structure etc. Material – In case of material choices, if you go with the customized packaging, you get to choose from different packaging materials like cardboard, Kraft, and corrugated fiberboard. While most of the companies choose corrugated fiberboard for this purpose, you can also choose cardboard or even Kraft, considering the weight and sensitivity of the products. Colors – In terms of colors, very good packaging company will offer you at least two variations; so do we at PackagingBlue.com. We let you choose from CMYK or Pantone color models. Shape & Structure – There are many different types of shapes and structures that you can choose from. 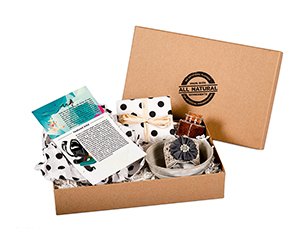 From the different type of boxes and shapes to the bottom styles, opening and closing styles and internal structure, you can customize your subscription boxes the way you like. 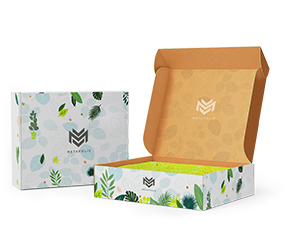 Design & Finish –The design and finish of your customized subscription boxes is very important because it will play an important role in turning one-time subscriber into an all-time subscriber. You can choose from a lot of different available features such as pattern or design, gloss or matte, embossed wording or debossing, gold foil or silver foil, aqueous coating or spot/full UV etc. All these features let you stand out from the crowd and make your own space. Why Get Customized Subscription Boxes from PackagingBlue.com? Affordable Pricing – We do not believe in ripping off our customers – we believe in making long-term relationships with them. This is why our pricing is highly reasonable and competitive. Free Shipping – We do not bury you beneath a lot of hidden charges such as shipping charges – we ship you free of cost. Professional Offset Printing – The quality and standard of printing at PackagingBlue.com is high standard professional offset printing. Fast Turnaround Time – When compared to our competitors, we ship faster within only 3 to 4 business days. Customer & Sales Support – The customer and sales support provided at PackagingBlue.com is off the charts – we are here to listen to you and help you 24/7. Ecofriendly Packaging – We do not use plastic or non-biodegradable materials. Our materials are based on cardboard and thus they are 100% hazard free and ecofriendly.